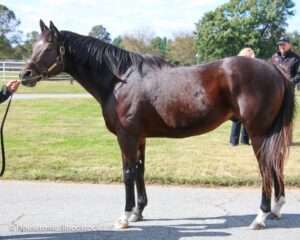 This colt was foaled March 24, 2019, at GreenMount Farm and is a Maryland-bred son of the state’s current leading sire, Great Notion, out of a daughter of Horse of the Year Point Given, who is from the fantastic Maryland female family of Grade 1 winner Include. 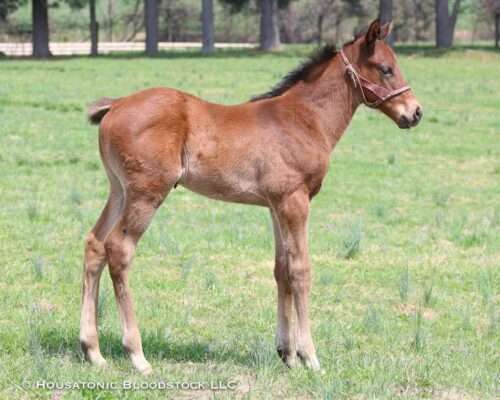 This colt will be raised at Oriskany Creek Farm in New York, as his dam is being bred back to the exciting first-year stallion Redesdale in a Housatonic Recommended Mating that you can read about here. You can check out more photos of Magical Point’s colt here.